(Centre): Esther Woo, Deputy General Manager of Berjaya Roasters (M) Sdn. Bhd. and KRR team members with a variety of selections from the Fun Fruity Feast promotion! Few weeks away from Christmas, have you think of where to dine with loved ones? Some of my friends have been telling me that they are planning to go out for lunch or dinner. 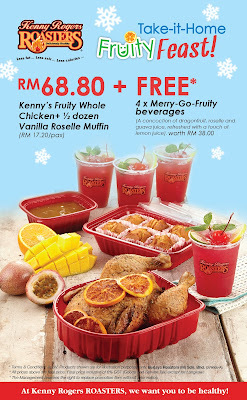 Kenny Rogers ROASTERS (KRR) perks up this year-end with their Fun Fruity Feast promotion that is bursting with fruity goodness. First off, the famous rotisserie-roasted chicken with signature herbs and spices is given a refreshing dose of special Fruity Gravy, which is a mix of mango and passion fruit. 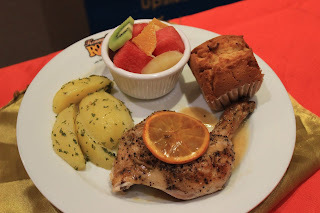 This is then complemented with the new Kenny’s Home-made Muffin – Vanilla Roselle Muffin, and also the Garlic Parsley Potato**, made up of steamed potato wedges in aromatic garlic butter and parsley flakes. 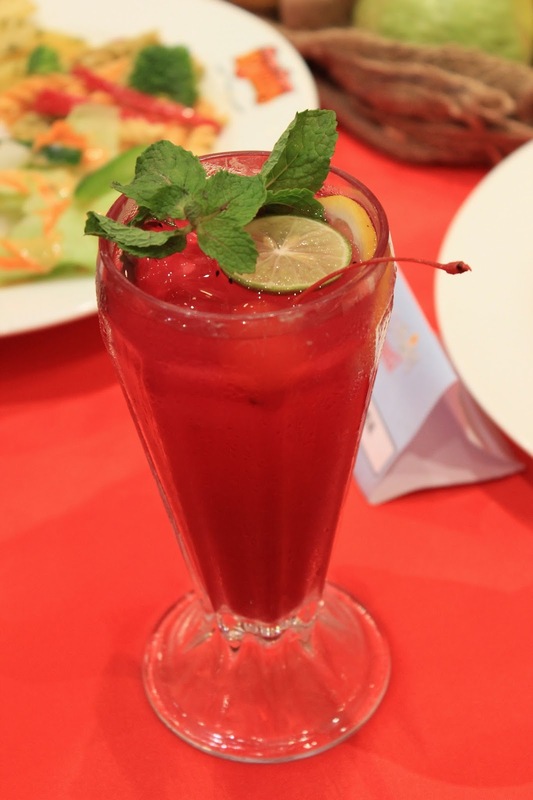 The meal goes fruiti-liciously well with the Merry-Go-Fruity drink that is packed with healthy nutrients consisting of a special concoction of dragonfruit, roselle and guava juice, with a zing of lemon juice. In conjunction with the Fun Fruity Feast, KRR is offering a Take-it-Home Fruity Feast promotion of only RM 68.80 that comes with a Kenny’s Fruity Whole Chicken and ½ dozen Vanilla Roselle Muffin, and four bottles of Merry-Go-Fruity beverage worth RM 38.00 absolutely FREE. 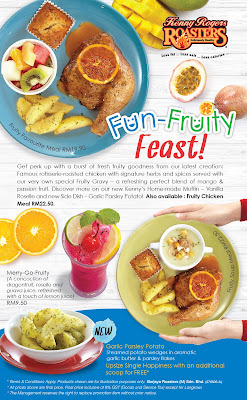 The variety of meal options offered in the Fun Fruity Feast promotion. 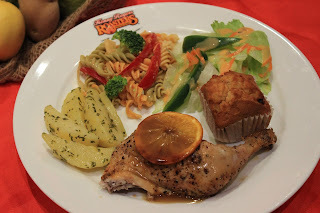 Guests have varying meal portion options to choose from such as the Fruity Favourite Meal (Kenny’s Fruity ¼ Chicken + Garlic Parsley Potato + 1 side dish + 1 Vanilla Roselle Muffin) or the Fruity Soup Meal (Kenny’s Fruity ¼ Chicken + Garlic Parsley Potato + Country-style Chicken Soup + 1 Vanilla Roselle Muffin), and the Fruity Chicken Meal (Kenny’s Fruity ¼ Chicken + Garlic Parsley Potato + 2 side dishes + 1 Vanilla Roselle Muffin), priced from RM 19.90* onwards. “Distinct from our other meal promotions, we infused a new and punchy zing into the Fun Fruity Feast to create a refreshing flavour for our guests! 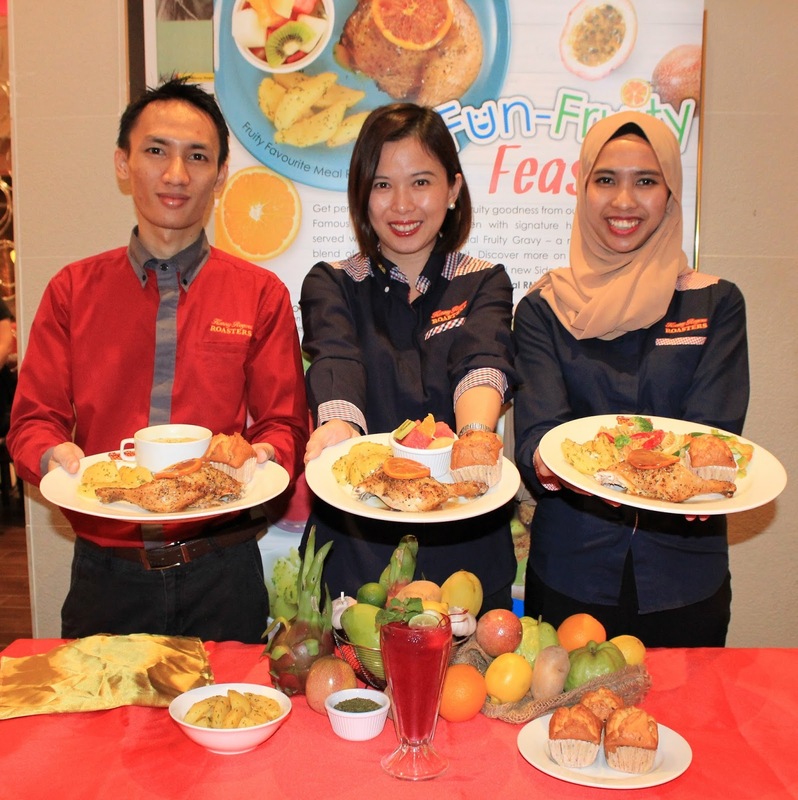 Supplied with a load of healthy goodness from the main course to side dishes and drink, guests can expect an enlightening dining experience with us,” remarked Esther Woo, Deputy General Manager of Berjaya Roasters (M) Sdn. Bhd. Guest can also choose to end their meal on a sweeter note with an additional FREE* scoop of ice scream when they order the Single Happiness ice cream. Don't just read here if you love everything you see here, you can also bring your loved ones to go dine. For more information on Kenny Rogers ROASTERS, kindly contact 03 - 2119 9888. 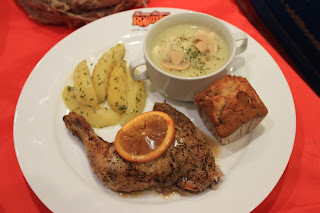 You can also visit www.krr.com.my or connect to www.facebook.com/krrmalaysia. The Tefal Manual Chopper as mentioned got it from LAZADA Box Of Joy, if you haven't read you can click on the link to read the BOX OF JOY. 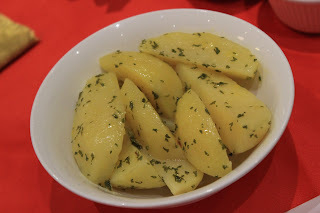 You can click on the video above to see that it takes less than one minute to chop the garlic. 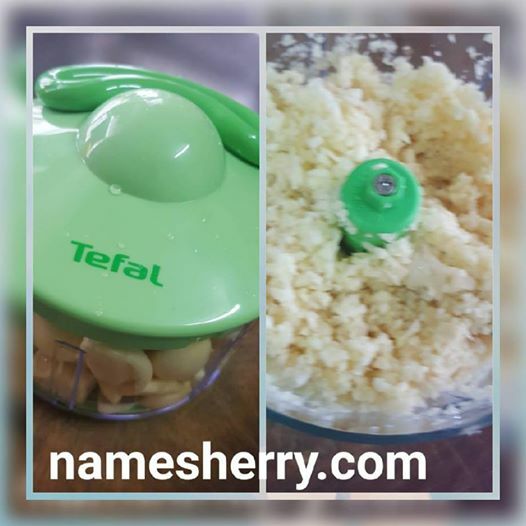 Today going to review this product, for your info the blades are very sharp, so becareful when you are using the Tefal Manual Chopper. From the BOX OF JOY, I find this product useful especially when you need to chop chili or garlic or onion. No more tears! Less than one minute and you can see its nice chopped the garlic. This is good as you can also chop carrot or potatoes any baby food that you like to prepare for your baby. This is good use for new parents that are busy with work and baby. Happy to tell my friends great place to shop online at Online Revolution, shop online no need go out and wait for delivery to door step. 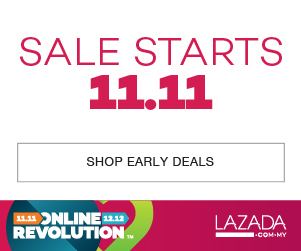 Don't say I didn't tell you that the Online Revolution Sales ends on 12 midnight on 12 December 2016.